SSC Stenographer Result 2017. 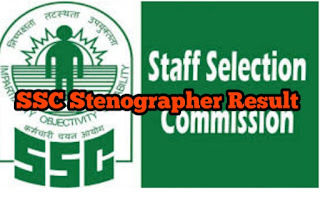 Staff Selection Commission (SSC) has recently released the Result of SSC Stenographer 2017 Exam after long wait. Those Candidates Who had applied for this in 2017 and gave exam. Such, Candidates can see their Result by following simple given steps. You can take a printout of Result for your future reference. We hope you got proper information about SSC Stenographer exam result.